This event takes place each day from March 21st, 2019 to May 3rd, 2019. This exhibition showcases work by students who took Advanced Ceramics with Professor Kelly Connole during winter term 2019. 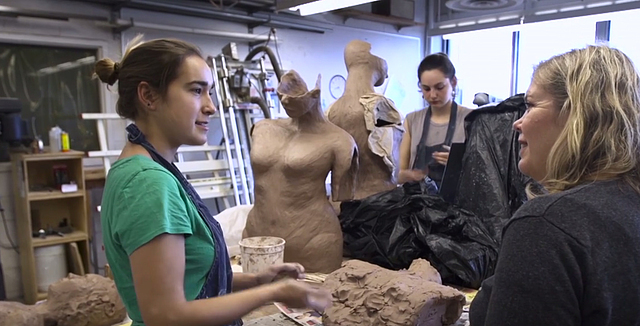 In the spirit of the liberal arts, the ceramics area welcomes students from across the campus who bring with them expertise in the sciences, social sciences, and humanities. Although they arrive with varying levels of experience, all are challenged by assignments structured to foster interdisciplinary exploration while developing strong skills across building and firing processes.